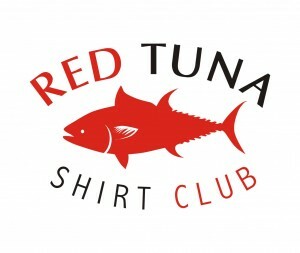 This blog entry is my submission for the Red Tuna Shirt Club and Outdoor Blogger Network Writing Contest. When I daydream about fishing I dream big! I love fishing for trout, bass, and catfish, but they are not nearly big or dangerous enough for me to dream about. I dream of adventure! I want to catch a fish that could eat me. A few years back I caught a three foot shark in the Chesapeake Bay. We were fishing for Croaker and no one in the boat could believe it when I hooked the “monster”. Also, no one in the boat wanted to take the hook out. The teeth were scary! We had to let it go, it was too small to legally keep. I can’t remember which one of us was brave enough to unhook it, but I can still remember shaking from excitement after releasing it. My shark was tiny compared to the size I dream of catching. I want to fish for the big guys, bigger than me, bigger than my boat! We’ve all seen those pictures of a giant shark being lifted out of the water by a crane, the proud fisherman who caught it posing beside it. I want to be that fisherman! To throw another level of excitement into the mix, I want to bowfish for my giant shark. Is this practical, legal, or even possible? I don’t know. I’m dreaming, remember! I imagine luring in a giant shark with bloody meat, or stealthily sneaking up to one in the shallows. I would see its small eyes, scarred face (the shark I catch is going to be a scrapper), and flashing teeth just before I release my arrow. The fight will be fast and furious, resulting in the aforementioned photo. Who would I go with? In my dream it is my wife. She isn’t squeamish, impatient, or afraid like she is in our real life outdoor outings. She is there helping me land the big one. When we are debating which of the dozen trophy sharks we have swimming around our boat I should take, she encourages me to take the hard shot for the biggest one. Then as the massive shark almost pulls me in, she grabs me and helps me stay in the boat. I’ll even let her in the iconic photo I will have taken! Why do I dream of danger and adventure when I dream of the quiet pastime of fishing? Perhaps it is because I am a natural hunter, there is nothing like the excitement of a hunt. Or maybe it is because I am not very brave and want to be. Most likely it is because I have a wild imagination.